June 15, 2012, twelve minutes after midnight. An armoured truck pulls up at the Hub Mall, a student residence at the University of Alberta in Edmonton. Four guards and a trainee are there to restock an ATM machine with cash. It is just a routine run for the G4S Cash Solutions security crew. Suddenly shots are fired. Students hear someone screaming for help and call 911. Police are on the scene in minutes. They are not sure what has happened, not sure if the shooters are still on the scene, waiting in ambush. 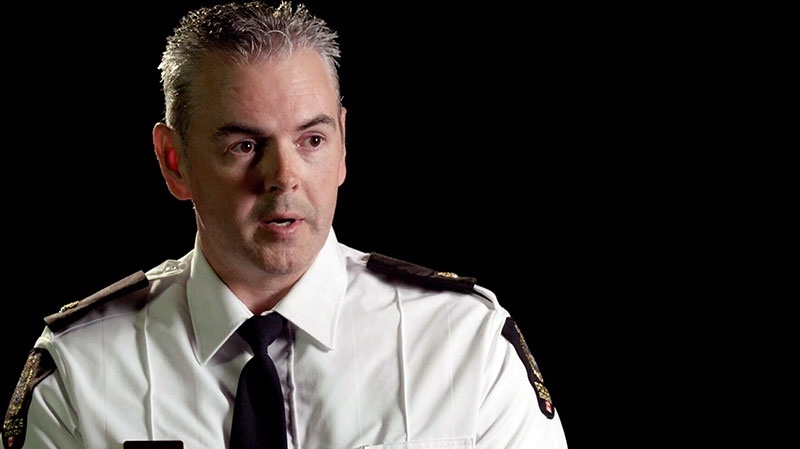 For the first responders, it is a harrowing experience they will never forget. For the families involved, their lives have been changed forever in seconds. Staff Sergeant Erik Johnson is first to arrive. He finds the body of an armoured truck guard lying on the street. He checks for a pulse then races upstairs to the ATM where he hears a man screaming for help inside the vault. The door of the vault is locked from the inside. Police use a battering ram and pry bar to smash their way in. Cellphone camera video captures the frantic hammering of the battering ram, with police desperately trying to break through the heavily armoured door. Blood is oozing out from under the door. At first police can only open a small hole to peer through. What they see is horrific. At least three bodies inside. One is screaming for help. Finally, they smash through. Inside the ATM vault they find three guards down, each shot in the back of the head. Two are dead at the scene, but one, Matt Schuman, is still alive and begging for help. He is rushed to University Hospital where doctors work through the night to save his life, removing a fist-sized, one-fifth of his brain. The dead guards inside the vault are Michelle Shegelski, 26, the team leader and seven-year veteran with G4S. Brian Ilesic, 35, had joined G4S just six months earlier. 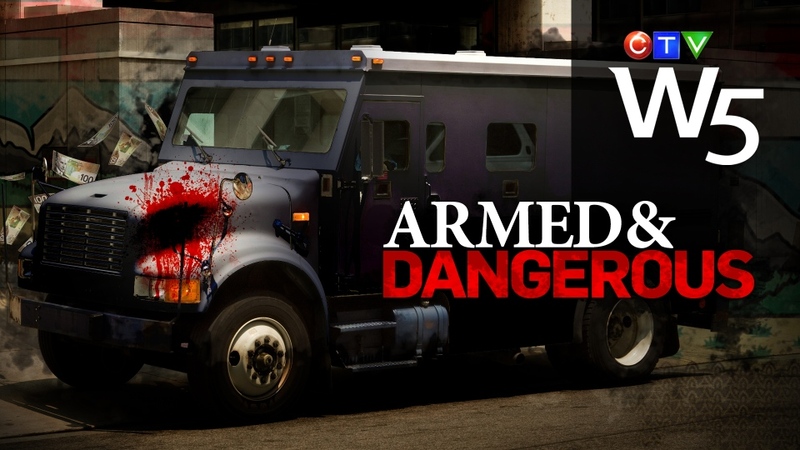 Lying dead on the street was Eddie Rejano, 39, who was making ends meet by working two jobs, one part time driving the armoured truck. Veteran detective Brian Robertson, who has worked more than 100 murder cases, is called almost immediately and assigned to lead the investigation. His attention turns to the fifth guard, the trainee, who is missing, along with the armoured truck. “We knew from the name tags which crew members were at the scene, and which crew member wasn’t, and that crew member was Travis Baumgartner,” said Robertson. Is Baumgartner another victim, a hostage, or the killer? By morning, police find the armoured truck and a grainy security video shows a tall man running from it to a black half-ton pickup. They check Baumgartner’s information and learn he owns a black pickup. Baumgartner is now suspect number one. Searching his home in Sherwood Park, an Edmonton suburb, they discover a stack of cash, $64,000, Baumgartner has left for his mother, his bloody boots and uniform and his Canadian passport left behind. Police launch a huge manhunt. More than 200 officers work the case. Thirty-six hours later Travis Baumgartner is caught trying to cross the Canada-United States border at Langley, British Columbia. In his pickup truck U.S. border agents find a duffel bag containing $334,000. Baumgartner’s clumsy escape attempt has come unravelled. He meekly gives up. 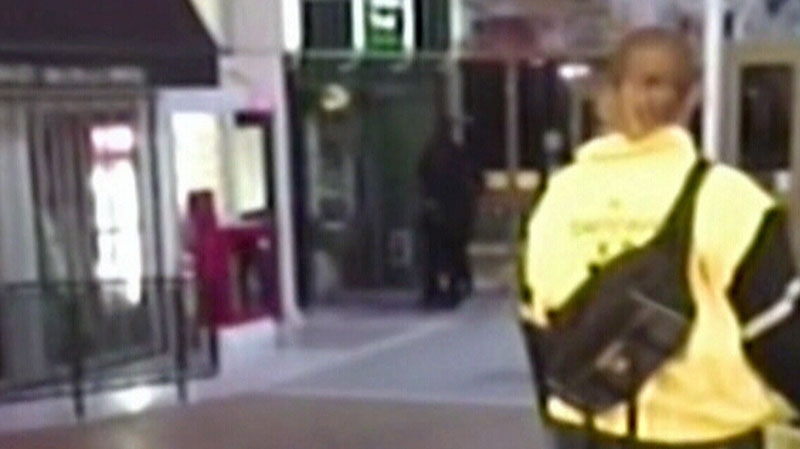 Turned over to Canadian police, he is interviewed by Robertson and his partner, Edmonton police detective Scott Jones. Baumgartner’s alibi is a bizarre amnesia story that quickly falls apart. And, after a long dramatic moment, the detectives go for broke – asking him who he killed first. Baumgartner then details the crime. Standing behind the victims, he draws his gun and without warning, shoots Michelle Shegelski, then Brian Ilesic, then Matt Schuman, grabs the bag of cash and runs out of the Hub Mall. There he shoots the driver, Eddie Rejano. He drives off in the armoured car, ditches it, and heads home. After changing out of his bloody clothes Baumgartner flees Edmonton, with his gun and body armour, which he throws in a river in Banff National Park. With the confession come charges of murder, attempted murder and robbery. 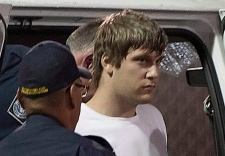 In September 2013, Baumgartner pleads guilty in an Edmonton court. He is given the harshest sentence handed down by a Canadian court since the death penalty was ended in 1962. Baumgartner is sentenced to life in prison -- and under a new law -- no chance for parole for at least 40 years. It means the earliest he will get out of prison, if ever, is when he is 62 years old. "It's difficult to describe the revulsion of society and this court and the public,” said Justice John Rooke, as he sentenced Baumgartner. "The victims were pawns of mere greed, anger, thrill seeking and his need for unspeakable violence." But behind the killings and that violence many questions remain. What sort of man was Baumgartner? What led a well-liked kid with no criminal record to suddenly explode in a vicious multiple-murder? Were there signs of potential danger missed by the security company that hired him and put a gun in his hand? What surprising breaks led police to solve the case? And how is Matt Schuman, the miracle survivor doing today? Cellphone camera video captures the frantic hammering of the battering ram, with police desperately trying to break through the heavily armoured door. Staff Sergeant Erik Johnson speaks to W5. 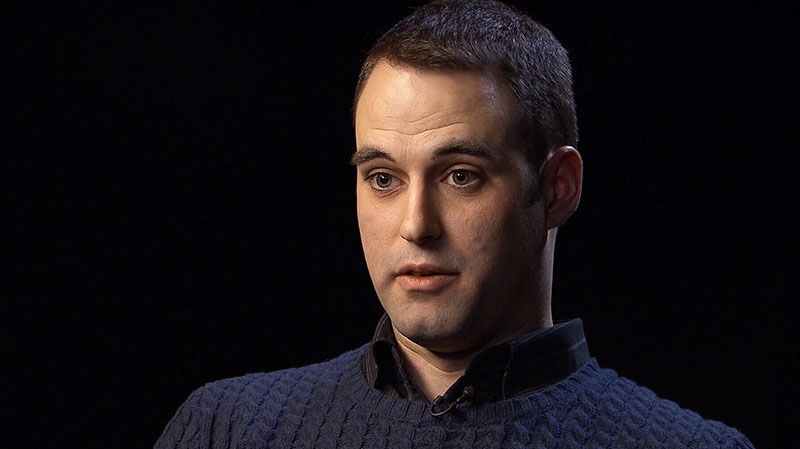 Matt Schuman, despite suffering a massive brain injury, remembers almost everything.